Cannabidiol’s role as an antipsychotic treatment has received another credibility boost after results of a recent study. Research out of King’s College London determined a single dose of the cannabinoid cannabidiol (CBD) can assist in a reduction of abnormal brain functioning in patients experiencing psychosis. In a study of 33 young people experiencing distressing psychotic symptoms along with 19 healthy participants acting as a control group, cannabidiol was administered to 16 participants while the other 17 received a placebo. Among those given the single dose of CBD, abnormal brain activity was less severe than for those who received a placebo. 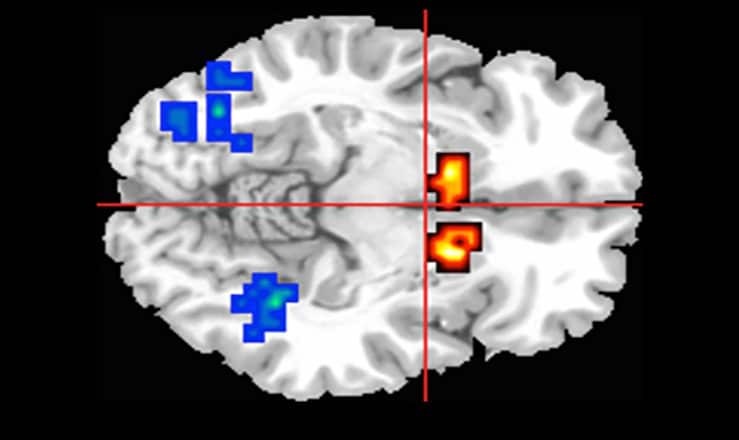 This effect was determined by an MRI scanner used while participants performed a memory task engaging three regions of the brain known to be involved in psychosis – the striatum, MTL and midbrain. Many conventional medications used in treating psychosis are associated with nasty side-effects. The King’s College research is the first evidence of how cannabidiol acts in the brain to reduce psychotic symptoms and has been published in the journal JAMA Psychiatry. That cannabidiol demonstrates potential in this area isn’t surprising. It’s been known for quite some time that CBD can counteract some of the less pleasant effects of tetrahydrocannabinol (THC), such as anxiety and paranoia. “THC can be thought of as mimicking some of the effects of psychosis, while cannabidiol has broadly opposite neurological and behavioural effects,” says a King’s College release. The IoPPN team are now embarking on a large multi-centre trial looking into whether cannabidiol can be used in the treatment of young people who demonstrate a high risk of developing psychosis. Early this year we reported on another King’s College London clinical trial involving CBD that indicated it may be beneficial in treating psychosis in schizophrenia. As well as being sourced from medical cannabis, cannabidiol can be extracted from industrial hemp, some varieties of which contain large quantities of the cannabinoid.